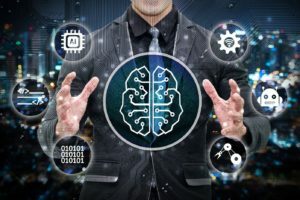 Intelligent Automation represents an evolved version of automation in which machines mimic human actions and possess cognitive capabilities, including natural language processing, speech recognition, computer vision technology, and machine learning. Such kind machines with automated intelligence comprehend the vast amount of structured and unstructured data, analyze, understand and learn it on the go, and intelligently automate processes to bring in more operational efficiency as well as business efficiency. The concept of automation in the digital world is evolving, and the technology is progressing adding more capabilities of human brains into machines day by day. According to Markets and Markets Analysis done last year, the BFSI robotic automation market is expected to grow at a CAGR of 75% and is expected to reach USD 835 million by 2020. The report also says that the rapid adoption rate indicates, that BFSI companies will focus on investing in training and ownership of the automation technologies, as compared to investing in professional services to automate processes, over the forecasted period. 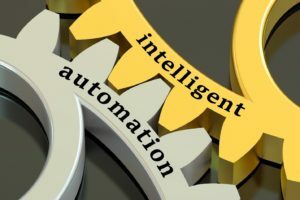 How Intelligent Automation differs from IT Automation? Even though Artificial Intelligence and automation are not new concepts in the technology landscape, the advancements in digital technologies, availability of sensors and increased computing power and storage have resulted in increasing its reach far and wide in the global business world. Let us have a look on how automation differs from Intelligent Automation. Automation appears to be a transfer of tasks that humans do to the machines. However, in reality, automation is fundamentally changing the way the operations/ tasks are carried out in business environments. Automation comes in different avatars including fixed automation, programmable automation, Robotic process automation, robotics and so on. 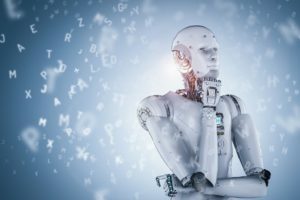 Intelligent Automation technology differs from normal IT automation, given the added layer of Machine Learning and Artificial Intelligence capabilities integrated with it. For instance, while filling the e-forms for a bank account opening, if the customer missed to update a section or entered a wrong data, the IT system will reject the form and flag it for a human interference to rectify the issue. However, in the case of intelligent automation, the system will identify the issue and self-correct the issue without any human intervention. This self-learning and application of intelligence brings in much more efficiency in business with respect to the time and effort and elevates overall customer experience. Happiest Minds Intelligent Automation capabilities are designed to help organizations integrate automation with technologies like artificial intelligence, machine learning, and knowledge based systems to drive enterprise-wide digital transformation. Our highly skilled Automation experts and Data Scientists will work along with your business and IT teams to assess processes readiness, technology readiness to develop the most suitable automation workflows and help in sustaining the robotic workforce in your enterprise. Click the following link to know more about our Intelligent Automation capabilities.